© Lindsey Dougherty. All rights reserved. 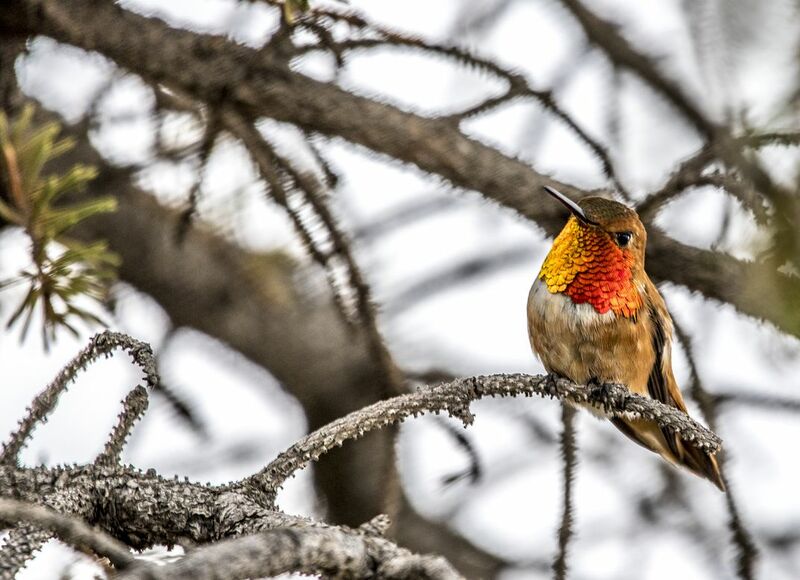 I finally captured the gorgeous gorget of this Rufous hummingbird. I was just outside of Leadville, Colorado, watching this bird for two days with my golden retriever at my feet. It's tricky to capture them because they are so fast, and constantly buzzing off competitors for the nectar. I wanted to get some expression on the bird, and to capture an image of a behavior other than them feeding. I was elated with the final result of two days and countless tries. Date Uploaded: Nov. 8, 2018, 9:31 p.m.